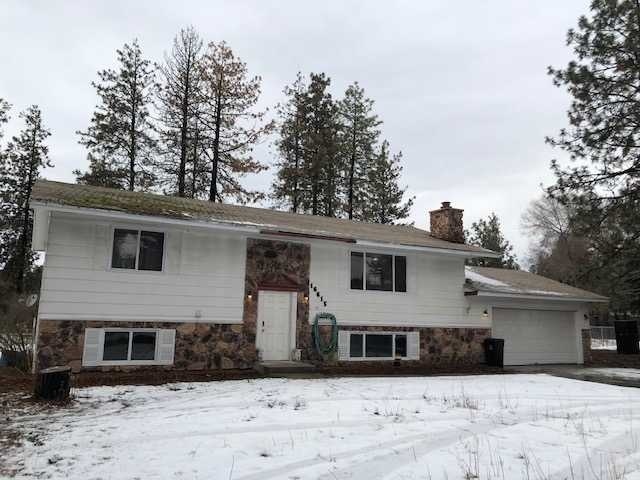 16615 N Suncrest Dr, Nine Mile Falls, WA.| MLS# 201828262 | Cooper Realty Services (509) 599-1111 | Spokane WA Real Estate | Contact us to request more information about our Homes for Sale in the Spokane WA area. Gorgeous detail on this 4 bedroom, 2 bath home on 1.38 acres with fruit trees and room for a shop. A nearly blank slate outside, this home has all the finishing touches inside, including granite counter tops, tile shower, stainless appliances, new flooring and lighting throughout. All top end items used in this warm and inviting home. You also qualify for Class A membership in the Suncrest Park Association (suncrestpark.com).